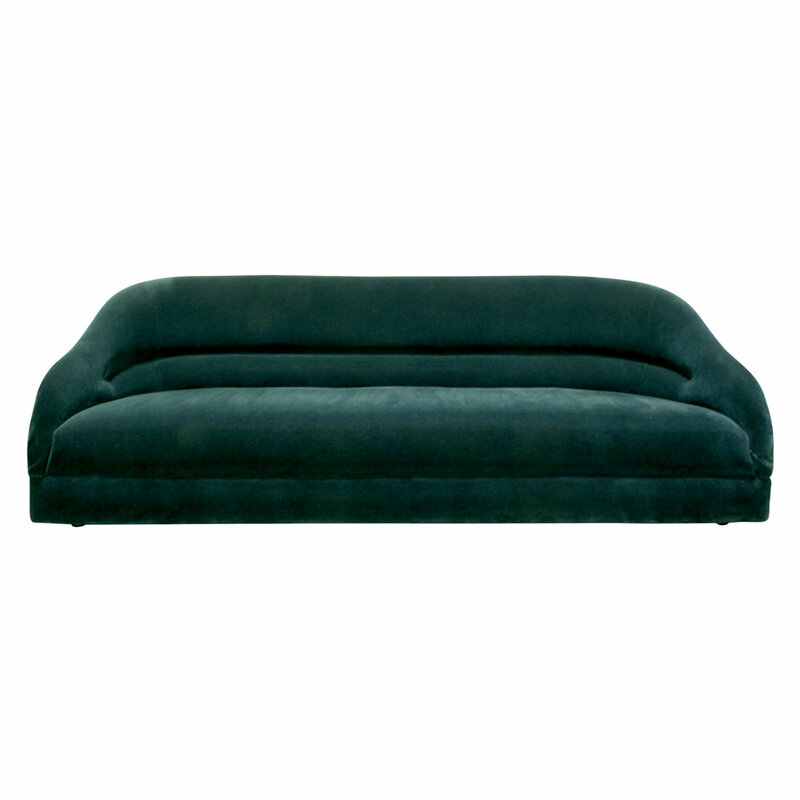 Elegant sofa model no. 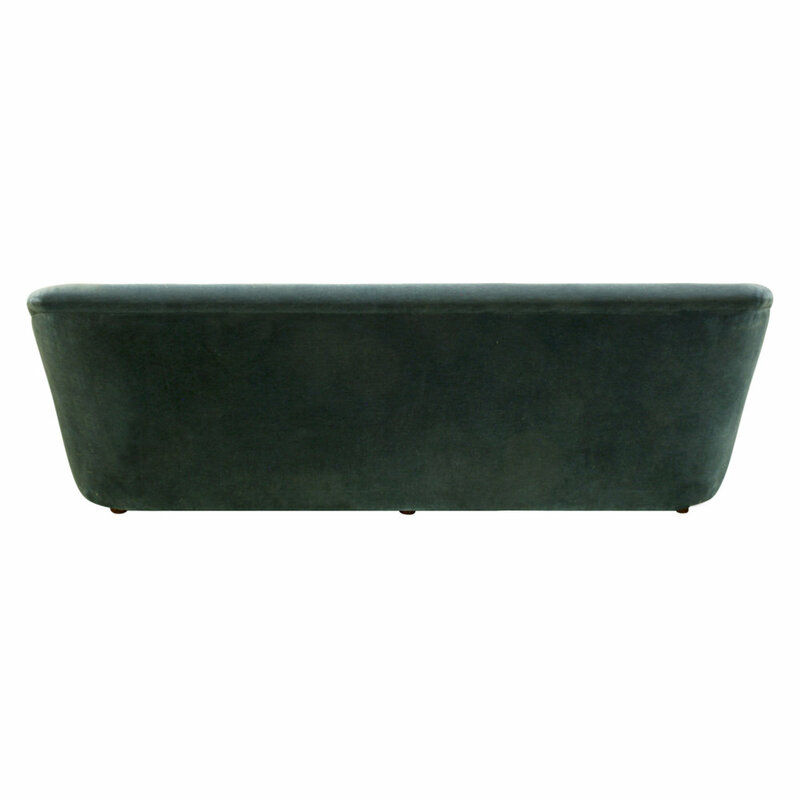 2092 with back pleat upholstered in green velvet by Ward Bennett for Brickel Associates, American 1970's. 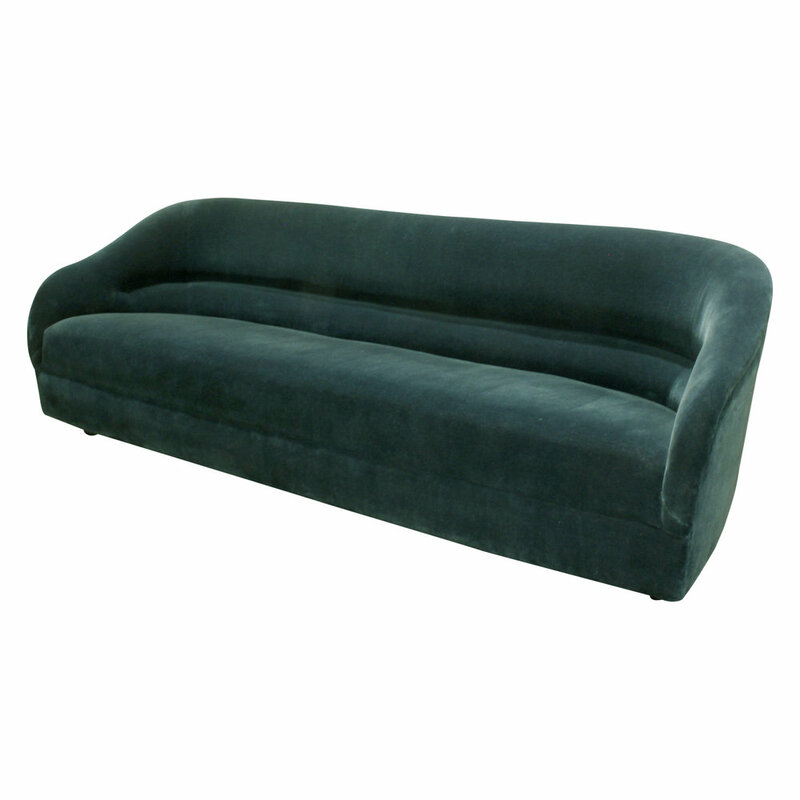 This is a very chic sofa design.